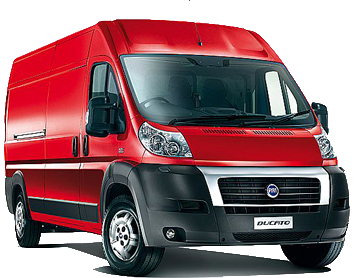 Fiat has been a major player in the European commercial n sector for well over a century, and for the last 35 years it’s the Ducato panel van that has been the flagship of the range. In the firm’s home market Ducato is as much of an icon as the Ford Transit is here, but the van is popular with UK buyers too. One of the reasons is the Ducato’s terrific fuel economy, which makes the van popular with all types of users from big fleet operators to motorhome conversion companies. Thankfully Fiat has been able to maintain this efficiency with its latest range of Euro 6 engines. The current Ducato is built as part of a joint venture production with the PSA Peugeot Citroen group, and so uses most of the same technology and engineering as the Peugeot Boxer and Citroen Relay. They’re all built on the same production line at the Italian Sevel Sud factory, which is one of the world’s biggest light commercial vehicle factory with a capacity for a quarter of a million vans every year.